HEAD Penn has an ad agency in Austria, who determines the look and feel of their marketing collateral, as well as a local office in Phoenix, AZ. 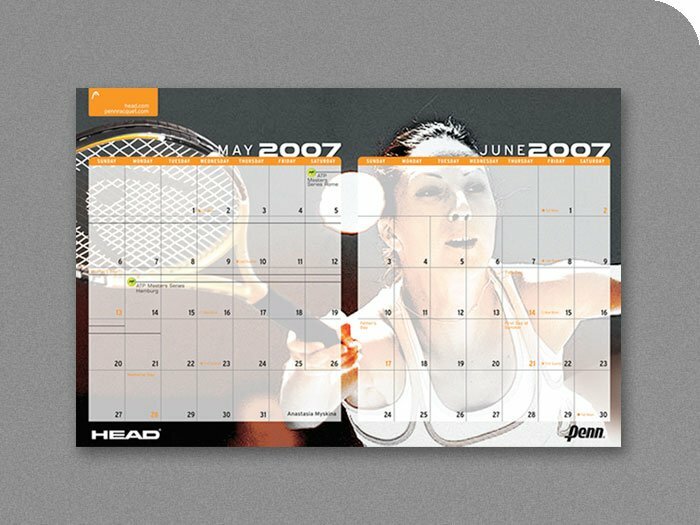 This 2007 tennis calendar was designed by Lori Pasulka working with the local office, utilizing brand standard guides from Austria. The finished calendar was produced locally in Phoenix. It featured international legends Andre Agassi, Marat Safin, Gaël Monfils, Anastasia Pavlyuchenkova, Svetlana Kuznetsova and Patty Schnyder. Shown here is an example of one of the 2-month spreads. This one, for May/June features tennis great, Anastasia Pavlyuchenkova. 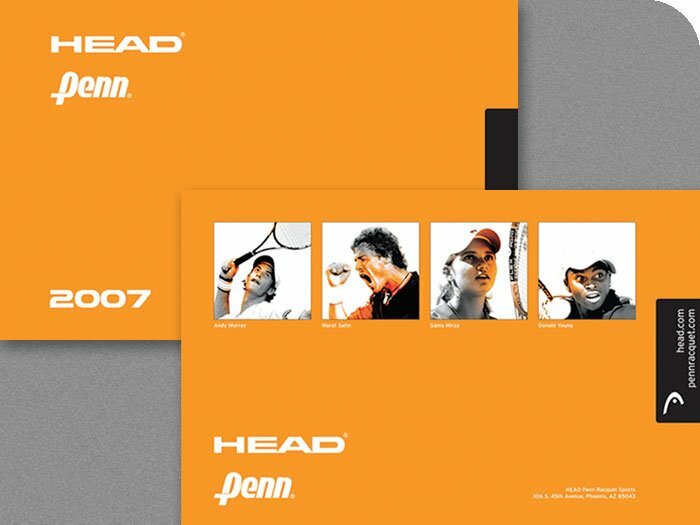 HEAD Penn orange floods the exterior covers of this tennis calendar. Front cover (upper image) is clean and bold. Back cover features four of the international tennis pros.